Enda Kenny- gone to the dogs? The man who looks set to become Ireland’s new leader, Enda Kenny got up, close and personal with a four-legged friend on the campaign trail recently. 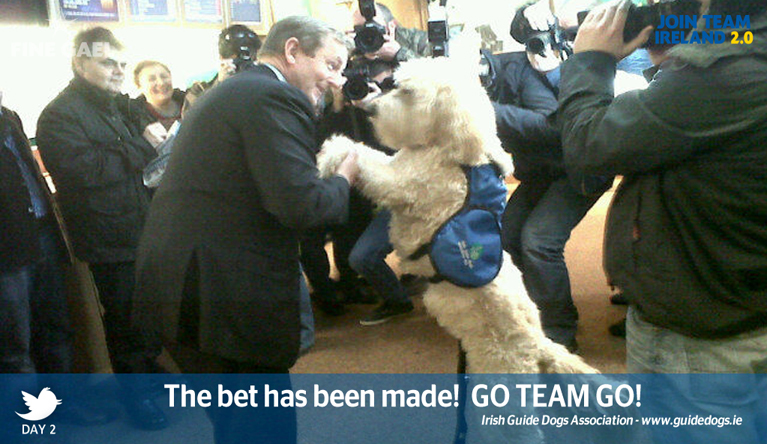 The photo shows the Fine Gael leader shaking the giant guide dogs paw as he offers him an engaging smile. The Irish Times have asked their readers to come up with suitable captions for the photo.